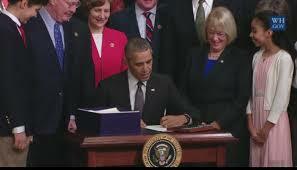 On December 10, President Obama signed the ESSA (Every Child Succeeds Act) into law. It was an historic moment, years in the making. We have come close many times, with different variations but at the last moment Congress would keep the bill from coming to the floor. It has finally happened and it took a lot of work to achieve. A quick review is needed first so you can appreciate how we reached this stage. You are probably familiar with previous laws such as ESEA (Elementary and Secondary Education Act) the first manifestation of which occurred in the early 1970s. NCLB (No Child Left Behind) which replaced the different version of ESEA soon was called No Child Left Untested, and most of you have been dealing with Common Core and the extreme testing which resulted. We now move into a new phase. In addition to NEA working for a re-authorization of ESEA (which is what the first target was), ALA’s Washington Office, specifically its Office for Library Advocacy has been lobbying to get a bill through that would recognized the importance of school libraries and librarians, trying more than once to get what was then called the SKILLS Act Strengthening Kids’ Interest in Learning and Libraries) passed, without much success. This was partly our own fault. I kept hearing from people in the Washington Office that Congress pays little attention to our lobbyists unless the message is supported by a strong outpouring of support from voters –like us. Unfortunately, despite sending delegates to Legislative Day in Washington, D.C. and some attending virtually, there really weren’t rousing responses to calls for action. This time, working along with NEA, and many, many librarians on social networks exhorting others to make calls, and Tweet or email legislators, the message got heard. I suspect in part this was due to the widespread frustrations with Common Core. So, in addition to sending thanks to the Washington Office for a job well-done, and to your legislators if they support the bill, give yourself a pat on the back if you were among those who responded to the call to action. This took more than a village. It took a country. As with any bill, it isn’t perfect. Compromise is part of the process so you never get everything you want. But we did get libraries written into it. As Washington Dispatch explains the bill includes the Innovative Approaches to Literacy program allowing the Secretary of Education “award grants, contracts, or cooperative agreements, on a competitive basis” to promote literacy programs in low-income areas, including “developing and enhancing effective school library programs.” The money can be used both for purchasing library materials and for giving school librarians PD. In essence it means the ball is now in your court. 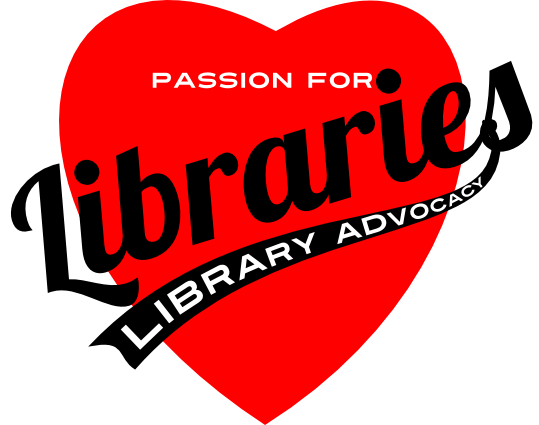 It is now up to you do advocacy work on the building and district level to ensure you have an effective library program. What do you need? Why? What will you be doing? How can the change be measured? So take time to celebrate an achievement ten years in the making. Then get down to work. If you need it, look to your colleagues in your state association or in your district. Reach out to your PLM for ideas if you need them. Don’t waste this great opportunity. Your students need it.